It was one of the Top 10 Days of the Year, weather-wise. It was all we could have hoped and asked for - beautiful crystal blue skies and comfortable temperatures, With that, five intrepid Hams K2VHW, W2OU, KD2FSI, KC2PGX and W2LJ arrived at the North Beach Observation Deck at Sandy Hook, to set up a few HF stations and operate - and answer questions from visiting Boy Scouts from the 2019 Raritan Valley Camporee. I set up the KX3 and ol' reliable - the PAR ENDFEDZ 40/20/10. The antenna was held up by my Jackite pole which was lashed to a kiosk some 50 feet or so away from our operating point. As usual, the antenna presented an almost perfect match and I was able to start making contacts immediately. 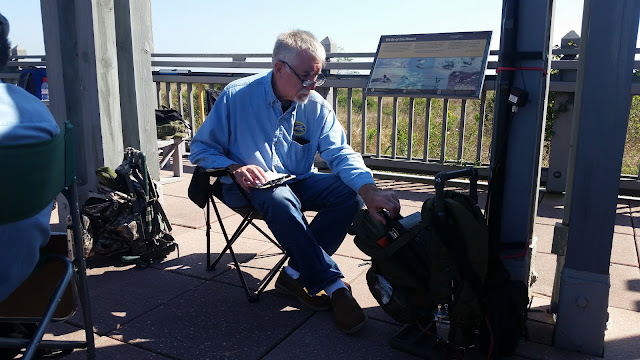 Dave KD2FSI had a bit longer to travel than the rest of us did; but he finally arrived to set up a SSB station. He used a variant of what I was using, but instead of using his end fed as a horizontal wire, he spiraled it around his Jackite and used it as an end fed vertical. For the most part, we both operated on 20 Meters and there was some interference with each other, but it was held to a minimum. It was a casual demonstration type of operation, so I would pound brass while Dave took a break and he would operate when I went idle. It worked out. It got to be a bit too breezy for Dave's free standing vertical from his pack frame, so he ended up lashing it to a bit of the Observation Deck structure. And we had visitors - lots of visitors. Here's a photo of KD2FSI holding court, explaining HF propagation and operation to a group of Scouts and their Scout Masters. And Morse Code attracted its fair share of attention, too. Here's a photo of yours truly, working the bands and explaining how Morse Code contacts are made. And when Dave and I weren't engaging the Scouts, Marv K2VHW was front and center. Marv has a natural talent for teaching and his friendly and warm personality only make it more effective. Propagation was not bad! Dave was running close to 100 Watts and worked Italy, France, Germany and a bunch of TX QSO Party stations. I stuck to 5 Watts (of course) and had my fair share of contacts which included Lithuania, France, Quebec (Malcom VE2DDZ - a Skeeter Hunt regular), UR3IDD/MM (have no idea where he was exactly, he didn't give his maidenhead square) as well as my share of TX QSO Party stations as well. I even had a few nice rag chews with Alan W4MQC and Bill AF4YF. 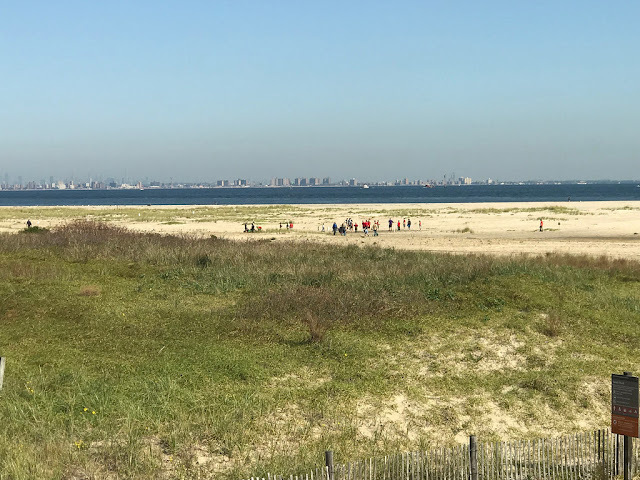 On a clear day such as today, you can see New York City, across Raritan Bay. In all it was great success. 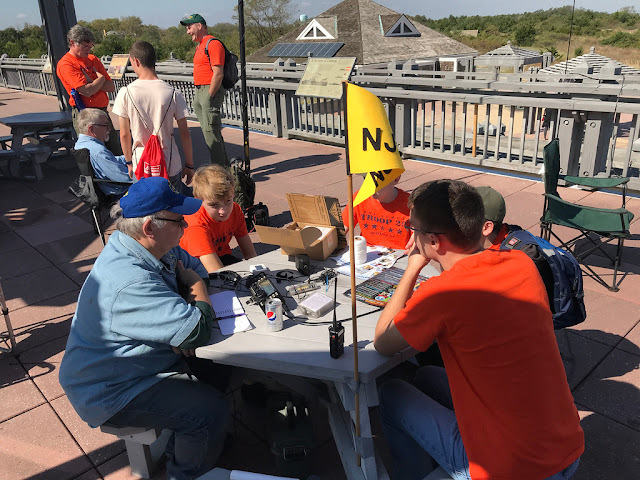 We made QSOs, and we showed the Scouts how they were made. We let them get a feel for the equipment (especially the Morse Code paddles) and they showed definite interest. Some of the Scouts and their Scout Masters will be in touch with us so we can help them earn their Radio Merit Badges. Did I mention that some of us (including W2LJ) are now BSA Certified Merit Badge Counselors? Tired and happy, we closed up shop around 4:00 PM local time and headed back to our respective homes. The scouts returned to their camping area. I wish them well, as it's supposed to drop down into the 40s F tonight (7C). It's going to be a chilly night for them, especially considering how close they are to the water and any breezes coming off the cool water. Labels: antennas, great outdoors, KX3, portable ops, Scouts, teaching. This coming Saturday is the Boy Scouts of America Camporee. 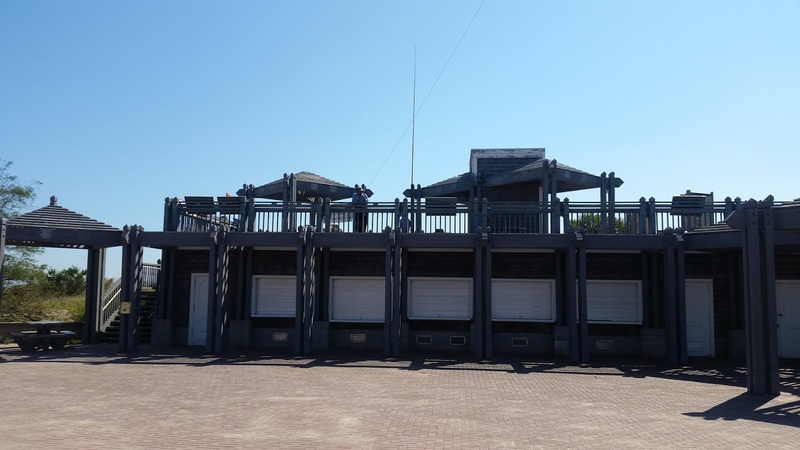 In our area, The Raritan Valley District Fall Camporee is going to be taking place at Sandy Hook, NJ, This is the part of NJ that juts out and forms a land barrier between the Raritan Bay and the Atlantic Ocean. We.re going to set up on the North Beach Observation Deck around 9:00 AM and hope to get busy making contacts from 10:00 AM to about 4:00 PM. I will be bringing my portable ops backpack with the various antennas that are packed in that, as well as the magloop. 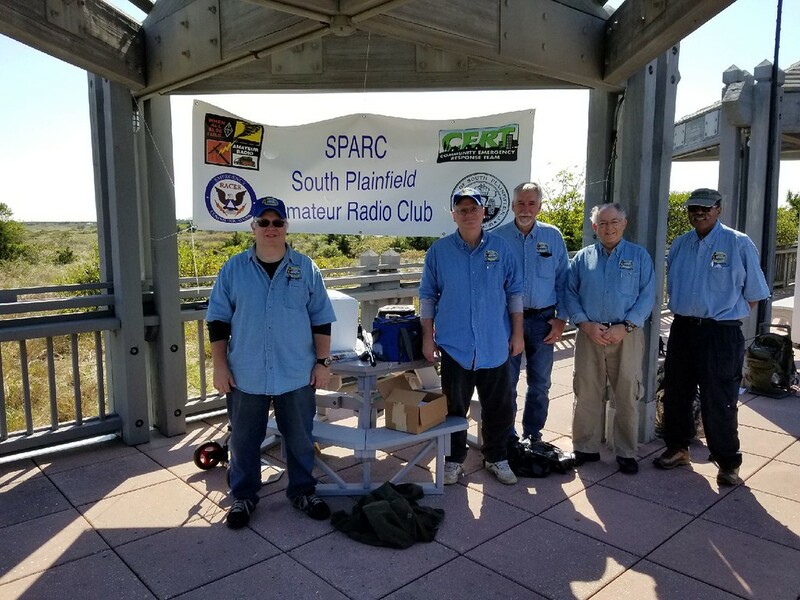 There will be no hard set presentation, just us guys from SPARC making contacts and yakking up Amateur Radio with any of the youngsters that may come by and show an interest. It's supposed to be sunny with a high temp of 71F (21C), so it should be a nice day to be outdoors. I am not sure at this point whether I will be operating under W2LJ or NJ2SP. I will spot our operations on QRPSPOTS, so if you hear us, give us a call. Bruce Pea N9WKE interviews Paul Huff N8XMS, President of the North American QRP CW Club. 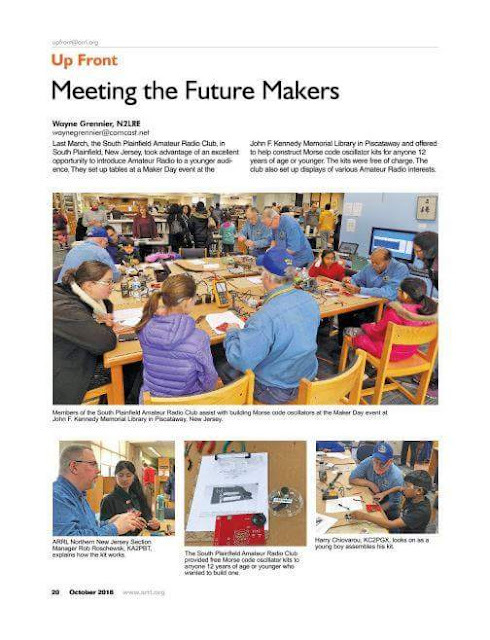 SPARC's Maker's Day adventure was published! Great writing by Wayne N2LRE and photography by Wayne and Ron N2LCZ were deemed newsworthy by the folks up in Newington. I saw this in the digital edition a few weeks ago, but seeing it on paper really "pops". Yours truly has his back to you, which really shows off my "best side". I was in the shack last night, doing a bit of work on my Lenevo T430 that I use down there. While I was there, I had the radio on, and I took a break from what I was doing to check my e-mail and take a quick look at Facebook. The SKCC Facebook page had a posting from a member asking if anyone from NJ was around. 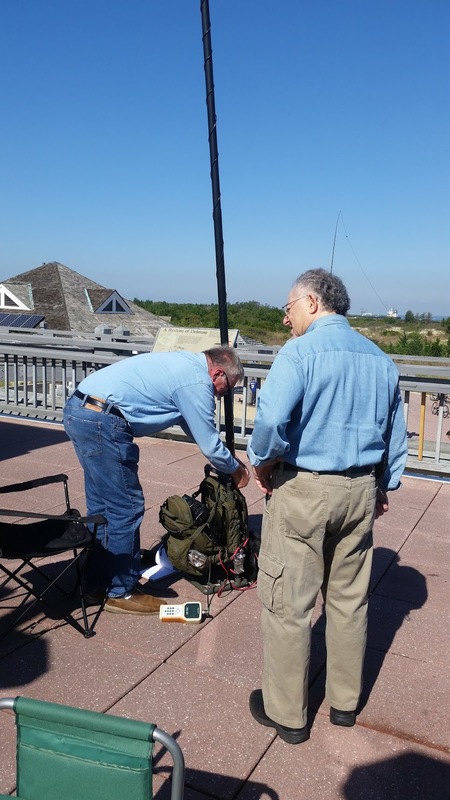 He wanted a quick QSO so he could add NJ to his CW WAS tally. The post was only about 10 minutes old, so I took the chance that he hadn't shut down and I posted back - "What band?" The op in question responded that he was good on just about any band; so I suggested he pick a frequency on 40 Meters. He picked 7.110 MHz and said he would be calling me there. And he was! Nice and loud, too! We had the quick exchange of signal reports and SKCC numbers and then he was off to try to find the other two states he needed to finish up the award. Having completed WAS a couple of times, it was nice to give someone else a needed state. He kind of floored me when he told me that he has trouble working New Jersey. I mean we're relatively "a dime a dozen" here. It's a surprise for me to find out that New Jersey is rare for anyone! 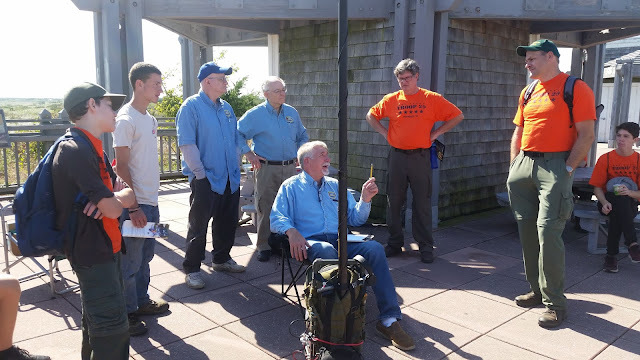 I got an e-mail from the Burlington County ARC regarding my NJ QSO Party Cabrillo log submission. It was just as bad, if not worse than I thought. Graciously, they are going to accept my log as it is, and will figure out what they need to figure out. You would think that ALL logging programs would have a converter built in, considering how popular contesting supposedly is. Log4OM, which is what I use, does not. I think that AC Log does. N1MM definitely does, as do DX Lab and a few others. I'm not a big enough contester to delve into N1MM or any of the others. Using more than one logging program and then doing the work to somehow merge multiples into one master log is more work than I want to be bothered with. Even though N1MM is free, my getting deeply into using it would be akin to a QRO operator buying a QRP rig solely for his one yearly venture into a QRP contest, when he can simply turn his rig down to 5 Watts. Come the NJ QSO Party next year, I'll just do a little bit more research (YouTube) on how to generate a better Cabrillo log from an ADIF file. So I did something yesterday that I've never done in 40 years of Ham Radio - I entered the NJ QSO Party. Granted, I think the event fell into a malaise for many of the years of my Amateur Radio career. 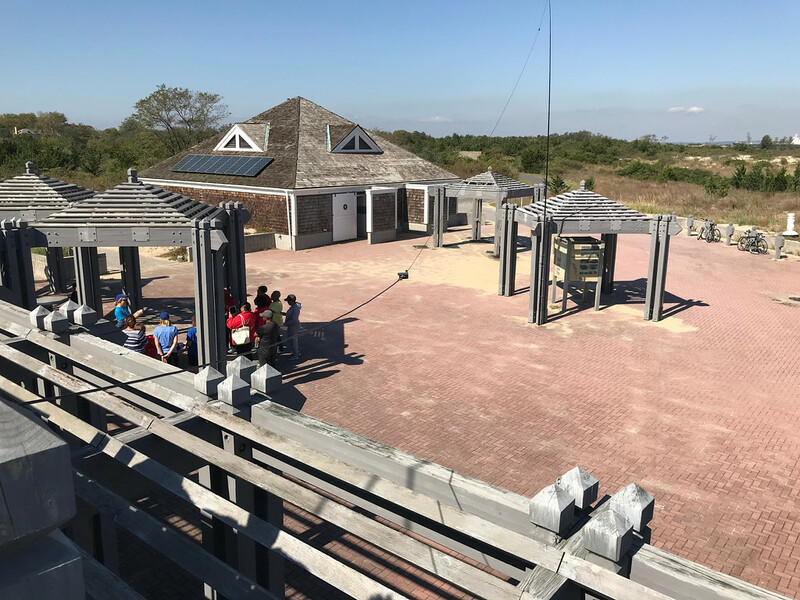 However, due to the yeoman work of the Burlington County Amateur Radio Club, the NJ QSO Party has been experiencing a renaissance of sorts. If I am not mistaken, the Burlington County ARC took over sponsoring the event in 2012, the same year the NJQRP Skeeter Hunt was born. Before that, it was sponsored for many years by the Englewood Amateur Radio Association, Despite their best efforts, the contest just fell into a state of disarray. The guys at K2TD have been faithful participants of the Skeeter Hunt. How could I not return the favor? I've been meaning to participate the past couple of years, but something always seemed to get in the way. Not this year! I didn't put in anywhere near the 18 hours that the contest ran. I was only able to afford about 3 or 4 hours in total between chores and other commitments. But in that 3 or 4 hours, I managed to make 30 QSOs in the QRP category. My best DX was working OM2VL on both 20 and 40 Meters. I also managed to snare WA, TX, and AR as well as many of the "closer-in" states. Thank you so much for participating in the NJ QSO Party this year. We hope you had a good time. However, what is this hot mess of a log that you submitted? We can't make heads or tails out of it. Please try again - and watch YouTube if you have to, OK?" I have until October 1st to get it right! To all our Ham friends in North and South Carolina - be safe! 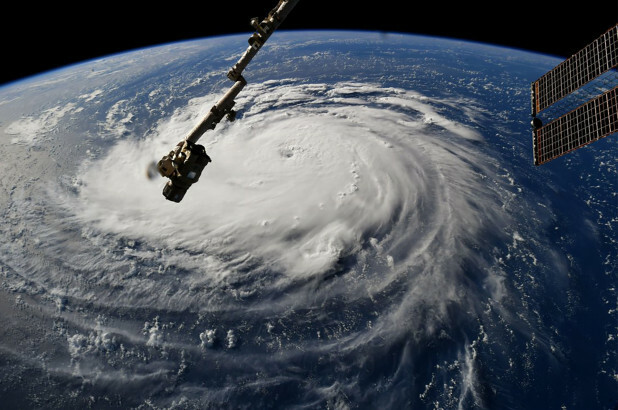 As you are well aware, Hurricane Florence is barreling down on your QTH. What worries me is that your current situation is much akin to our situation back in 2012, and a most unwelcome visitor that we had - Hurricane Sandy. Like Sandy, Florence is coming directly at you from the open ocean. At this time there appear to be no wind shear or deflecting pressure systems to weaken her or steer her away from you. She is building up strength and will most undoubtedly be a Category 4 hurricane (or possibly Category 5) when she comes knocking on your door. 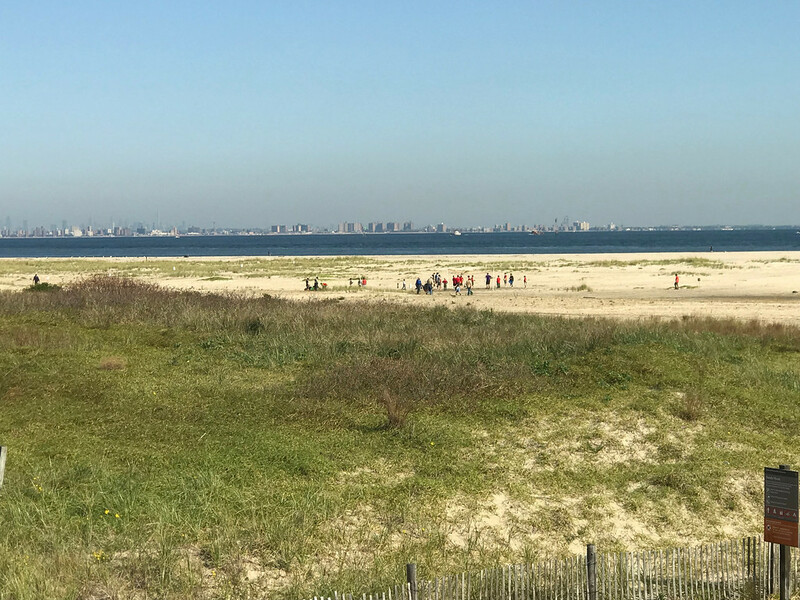 If you live on a barrier island, or near the coast - bug out now, while you still have time! Please don't be foolhardy and attempt to "ride out the storm". Not only will you be putting yourself at risk; but also any First Responders who may have to come and aid you - assuming that they will be able to! 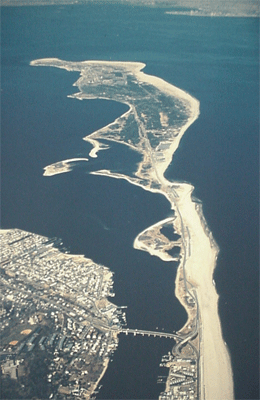 Here in New Jersey, the W2LJ household is 10 miles away from the Raritan Bay and the coast, as the crow flies. You might think those 10 miles would provide a decent buffer, but when you're talking about a storm that is 300 miles wide all by itself, then 10 miles is nothing. If you have relatives in-state, away from the coast, that you can hunker down with, that's a great idea. Regardless, now's a good time to prepare, especially if you have to shelter in place. From my experience alone, we were without commercial power for five days. If you have a generator, gas it up and buy extra gas now! The problem we had in NJ, was that many filling stations had no back up power, so the pumps were useless. Can't find a generator - they're all gone where you live? Get your hands on an inverter. As a last ditch resort, you can always use your car as a generator for short amounts of time. Get a supply of drinking water. Buy bottled water or fill up the tub and cover is with plastic wrap if you have to. And make sure you have an ample supply of canned and other non-perishable food to keep you going. If you have an additional storage freezer, fill it with bags of ice now - and open it as little as possible if the power is out. If you have a gas grill, make sure you have a good supply of propane. You may need to grill the contents of your freezer as the days without power add up. The grill also comes in handy for heating up large pots of water. Unless you enjoy cold showers, a sink full of hot water will allow for refreshing clean ups. Charge up your portables and any extra batteries you may have. If you're into portable QRP ops, make sure those SLAs and lithium batteries are topped off. Make sure you have the proper cables that you need for your solar panel, if you have one. On the bright side, if your neighborhood does lose power for an extended period, and you can get your HF station on the air - you will be amazed by the extremely low noise floor that you will be hearing on the bands. I was fortunate to be able to get on the air after Sandy - my antennas weathered the storm. It was a comfort to be able to make contact with Jim W1PID during the first few days of chaos. That tiny bit of normalcy was a blessing and I'll never forget Jim's kindness. Good luck, be safe and Godspeed - and to our friends in Georgia and Virginia - keep YOUR situational awareness up. Florence may change course once she hits land. 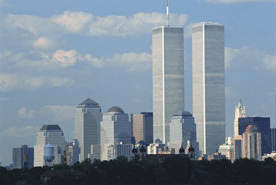 who selflessly gave their lives, trying to save others. Back in the 1990's - way back in the last century, I was into the digital modes for a bit. Back then, in the Dark Ages, all we had were RTTY, AMTOR, PacTOR, Helleschrieber and a few other exotic modes. I think Olivia was just jumping on the scene back then, if memory serves correctly (which it probably doesn't). Maybe it was just that it was so seldom heard on the bands that it seemed like it was brand new. It was fun and I participated in probably 4 or 5 RTTY Roundups and made an acceptable showing for the ARRL NNJ Section. But truth be told, after I while I grew weary of it. Granted, I had some really great QSOs, including some very neat DX QSOs. But as the digital modes became more and more popular, it seemed (to me) that QSOs started devolving into a bunch of exchange of computerized macros and real "honest-to-goodness" conversation became more and more scarce. So now, I've been reading about the latest and greatest mode, FT8 and the even newer FT8Call. They seem to be all the rage with Amateur Ops extolling their virtues. I even read Dan KB6NU's recent post about FT8Call and how the mode is evolving into one where you can actually have conversations instead of just computers talking back and forth between themselves. Now before I get lambasted and dragged all over the hot coals, please know this post is all in fun and is not meant to demean or denigrate anyone else's enjoyment of Amateur Radio. It just seems to me, as a veteran Op, with some years of experience under my belt, that there truly is never anything completely "new under the sun." So for those of you who enjoy FT8, FT8Call, PSK31, WJT, WJST and all the other combinations of alphanumeric soup out there - God bless you all! Knock yourselves out, have fun and keep coming up with the new stuff. it enriches the hobby, no doubt about that. But as for W2LJ, I'll just keep going with "Ol' Reliable" and will continuously ride "Westward,Ho! ", right into the old dinosaur sunset. I did get some time to make a new mast holder for the QRPGuys N2CX antenna. The Shakespeare 20 foot crappie fishing pole arrived early last week. It's quite lighter than the Jackite. In fact, it's MUCH lighter than the Jackite. Unfortunately, it's not that much slimmer than the Jackite. I still required a 2" piece of PVC tubing from Home Depot, as 1.5" was just too narrow. So my dimensions departed quite a bit from what the QRPGuys have listed in the antenna construction manual, as I didn't feel like cutting the PVC - I used the entire 3 foot length. I'd sure like to know where they secured a 17' fishing pole that would fit into a 1" diameter piece of PVC !!! Anyway, I made my "spike" out of 1/2 threaded rod. I cut a piece about 2.5 feet long (the heck with 8-12 inches!) and got out the Dremel to grind myself a pointy end. I secured the other end in the cap using four nuts, two on each side. I took it outside and was surprised how easily it went into the soil. When I use the Jackite holder which is PVC hose-clamped to a piece of angle iron, I really have to pound on that pretty hard. This went in like a hot knife through butter, by comparison. The mast holder seemed to do a decent job, even on a mildly breezy day. I didn't deploy the actual antenna, but the four sloping radials will double as guys to hold everything securely. The mast and antenna probably come in under two pounds combined, so they probably don't offer much wind load. In other words, I don't see the likelihood of them falling down a lot. I want to deploy this antenna for the NoGA Peanut Power Sprint later this month. I saw on Facebook where Steve WG0AT used the same on a recent SOTA deployment and he seemed pretty pleased with it. And if it's good enough for the Grand Master of Portable Ops, then I'm pretty sure it will be more than sufficient for me. Congratulations to the top five finishers! 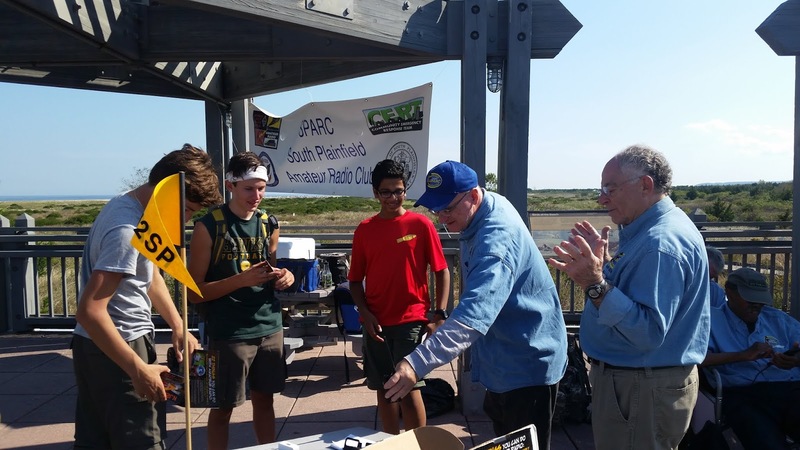 And special congratulations to all of you who participated and hopefully had a fun day spending some time with your QRP gear in the great outdoors. This year we have two pages of soapbox comments. Out of the 175 people who signed up for a Skeeter number 79 Skeeters sent in logs - so we had a 45% participation rate by Skeeters. There were seven non-Skeeters who turned in logs, so overall, we had an overall 47% participation rate. Not bad, not bad at all. This year I added a new "award", or mention for special merit.. This will be awarded at the contest manager's discretion for "going above and beyond". 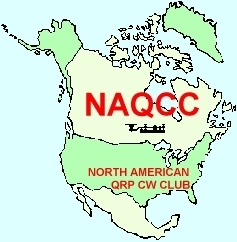 This year the very first Gold Star went to KC0ZCX, for making his first CW contacts during the Skeeter Hunt. Making your first CW contact is nerve-wracking enough - but to do it during a QRP Sprint is just phenomenal! My hat is off to you, Eddie - you are a braver man than me! Another Gold Star went to N0SS, the Mid-Mo Amateur Radio Club. By themselves, N0SS had a less than stellar day. But they sent 11 members from their club out to the field. A lot deployed with home brewed gear and a lot of them had limited CW experience. N0SS gets a Gold Star for exemplary Elmering. Way to go, guys! Again, I hope you all had a great time and I hope you enjoy the soapbox pages. Soapbox Page 1 is here. Soapbox Page 2 is here. 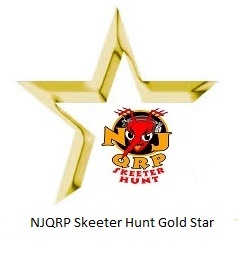 And I fervently hope that you'll all come back for the 2019 NJQRP Skeeter Hunt.